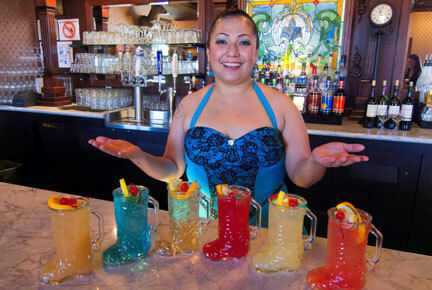 Belly up to a great western bar and enjoy your favorite beverage. 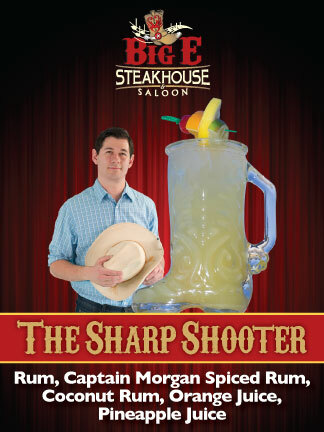 The Big E Saloon is open for lunch and dinner and serves the full Big E Steakhouse menu. 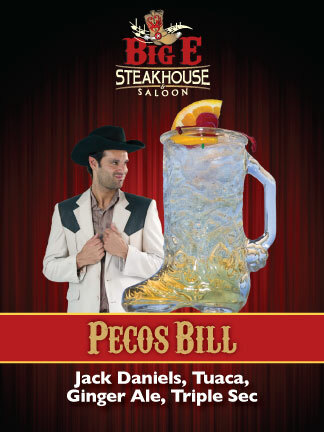 Patio seating is available. 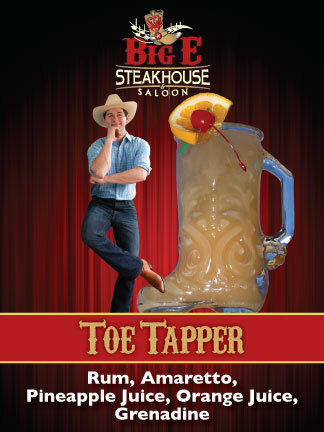 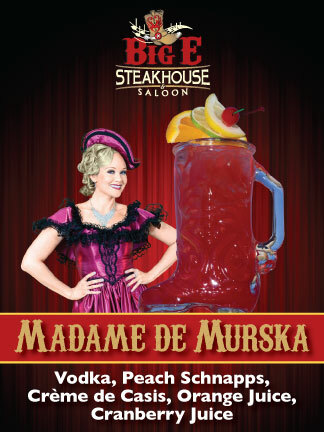 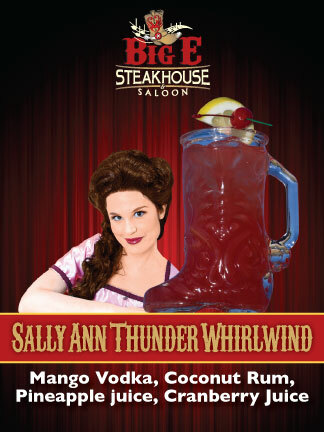 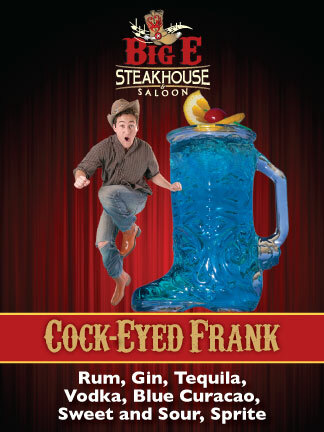 Big E Saloon Specialty Drinks are served in custom Boot Glasses and every drink has a special kick!